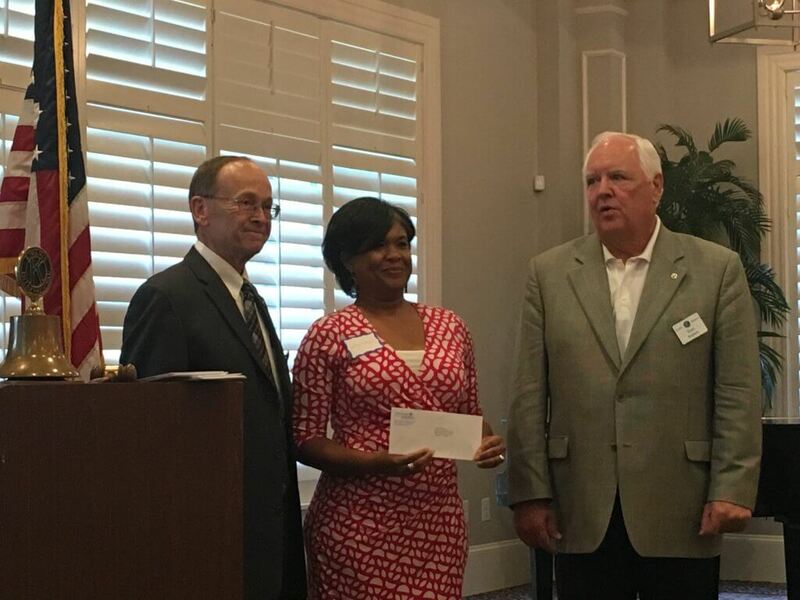 (SAVANNAH, GA) The Kiwanis Club of Skidaway presented $56,000 to local charities during its annual awarding of grants event on Thursday, September 28 in the Plantation Ballroom, The Landings, 1 Cottonwood Lane, Savannah, Ga 31411. The mission of the Kiwanis Club of Skidaway is to help at-risk children in the Savannah area. The Kiwanians of Skidaway spend countless hours volunteering and raising money through events, member support and corporate donations to help those in need. The Club has been serving Savannah’s kids since 1988. 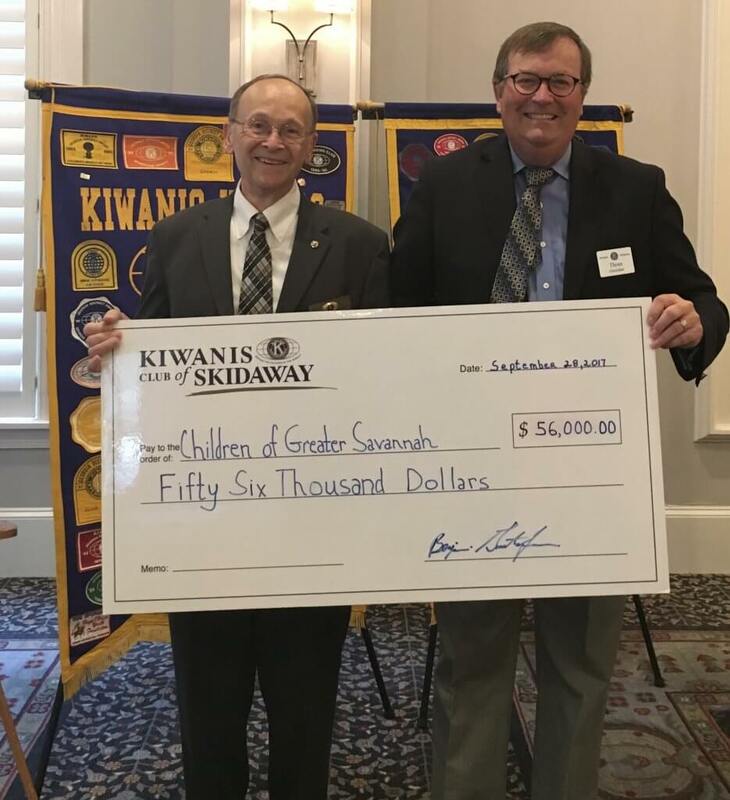 Skidaway Kiwanis raised and distributed over $1,400,000 and invested over 300,000 service hours in their mission of helping the children of Savannah. They currently have 134 members—men and women who meet every Thursday morning in the Plantation Club ballroom for breakfast, a brief business meeting, and a guest speaker. Each week, the speaker discusses some area of interest, such as local history, local or national events or issues, sports, art, literature, business, education or service opportunities. The club sponsors several fundraising events each year to support its charitable causes and has other fundraising programs that operate year-round. In addition, many of their members are involved as volunteers at youth service organizations in the area. (SAVANNAH, GA/ CHARLOTTE, NC) Kole Management Company (KMC), a family-owned property management and investment firm based in Savannah, announces the acquisition of Pavilion Village, a 294-unit luxury apartment community in the rapidly growing Harris Boulevard submarket of Charlotte, N.C., near I-85 and I-485. (SAVANNAH, GA) Kim Thomas, Director of Operations at Dewitt Tilton Group, a Savannah area commercial construction company, has been elected to serve as Vice President of The Savannah chapter of the National Association of Women in Construction (NAWIC) as NAWIC #380 announces the new 2017-2018 Board of Directors. 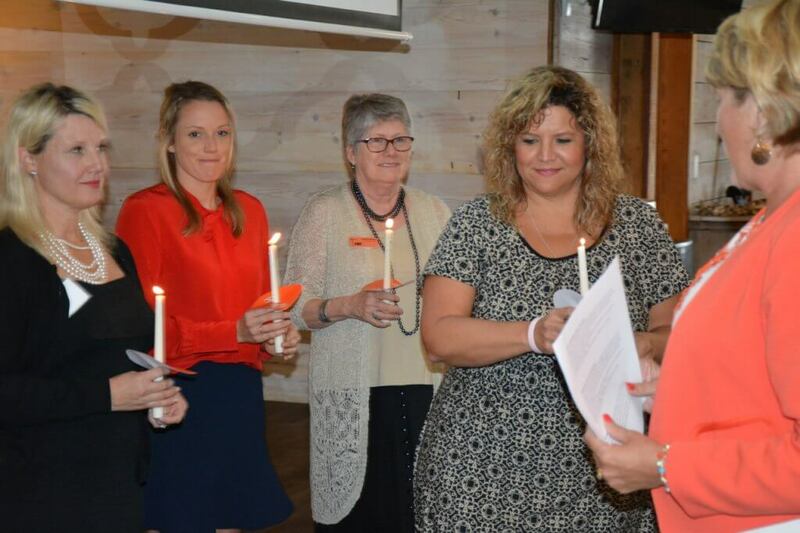 NAWIC was founded in 1953 to create a support network for women in the construction industry and to continue to grow the influence and presence of women in the industry. It received its national charter two years later. 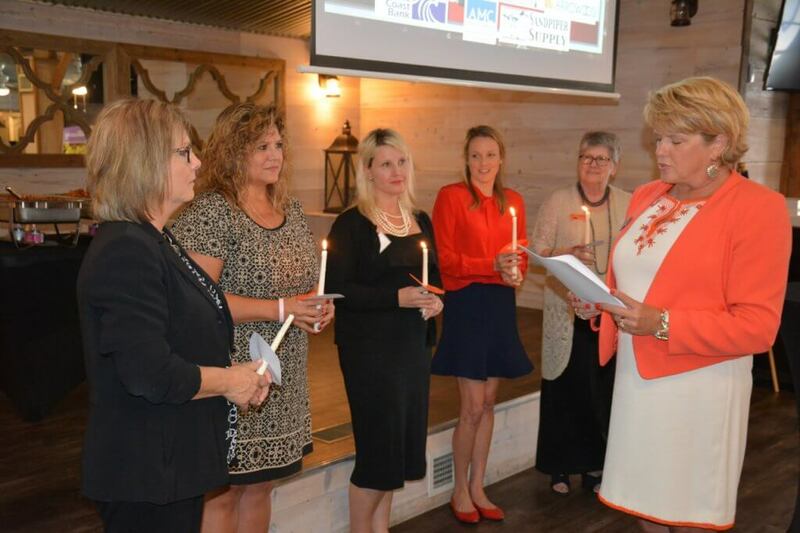 Today NAWIC serves chapters in 14 regions, partnering with leading construction firms to provide its members with mentoring, networking, leadership development, skill advancement and education on the latest industry trends. 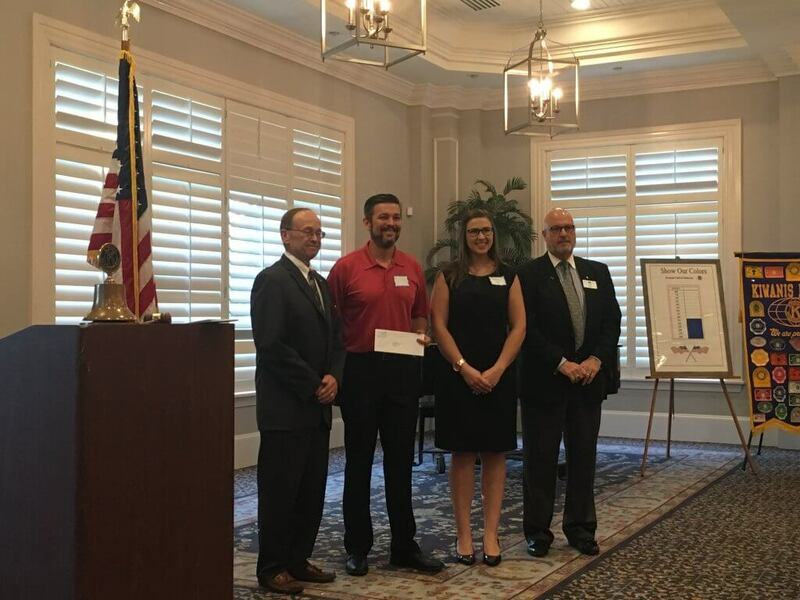 The Savannah Chapter has been active in this region for 15 years and boasts members from many local and national organizations related to the construction industry. Thomas joins newly-elected board members Laura Lee Bocade of DIRTT Environmental Solutions as President, Brandy Davenport of Savannah Construction & Preservation as Treasurer and Erin Clay of Guerry Lumber as Secretary. New Board Directors include Marilyn Blome of Blome & Associates and Tess Stuber of Atlanta Gas Light. The immediate past president, Tonya Reed of Henry Plumbing Company, will remain an active member of the board. In her role at the Dewitt Tilton Group, Thomas works closely with clients to ensure that their desires are met at every juncture, from drafting plans and working closely with architects and engineers, drafting the metal building layout (if required), to obtaining bids from subcontractors, to final approval. Before joining the Dewitt Tilton Group, Thomas worked for six years with Chris Tilton as a Residential Project designer and office manager at John Tilton Homes & Tilton Commercial Group in Ridgeland, SC. Thomas’ previous positions include assistant project manager at Norsouth Construction Company of Georgia in Savannah, construction administrator with TMX Finance in Savannah and office administrator at 14th Circuit Solicitor (District Attorney) in Walterboro, SC. She also served eight years as the Chairman of the Jasper County, SC Planning Commission. To learn more about NAWIC, visit http://www.nawic.org/nawic/default.asp. For more information or to contact the Dewitt Tilton Group, please call 912.777.3404 or visit www.dewitttiltongroup.com. 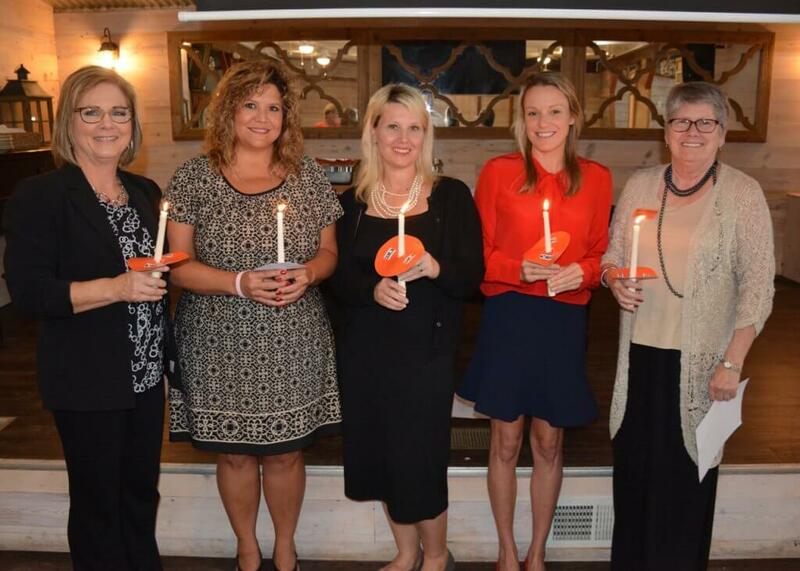 (LEFT to RIGHT) NAWIC’s Newly Elected Board Members: Laura Lee Bocade of DIRTT Environmental Solutions as President, Kim Thomas of The Dewitt Tilton Group as Vice President, Brandy Davenport of Savannah Construction & Preservation as Treasurer, Tess Stuber of Atlanta Gas Light as Director, and Marilyn Blome of Blome & Associates as Director. Not pictured: Erin Clay of Guerry Lumber as Secretary. (SAVANNAH, GA) The Savannah Area Republican Women’s Club, in collaboration with Chatham County Sheriff John Wilcher, will hold the inaugural Ladies, Guns and Ammo event in the Lunch and Learn series on Saturday, Oct. 21, at Savannah Golf Club, 1661 E. President St.
Ladies Guns and Ammo will be an educational event intended to instruct women on laws associated with handguns, as well as proper safety protocols. The event will feature gun law and safety classes, target practice and a luncheon. Classes are limited to 60 participants, and handguns will be provided. Katie Pavlich will be the featured keynote speaker for the luncheon, and will also be joining the safety classes and target practice groups. The lunch is open to both men and women but is limited to 200 guests. SARW will raffle three handguns during the event, including an LCP Rugger in robin egg blue, valued at $289, and a black leather concealed-carry purse with a value of $226. Both items were donated by The Gun Shop Inc. Ortiz Custom Guns also donated to the event and will raffle off two Kahr CW380 pistols, each valued at $275. Tickets for the classes, target practice and luncheon are $85; for the luncheon only, tickets are $45. Raffle tickets are $25 apiece or five for $100; t-shirts are available for $17. SARW also is seeking sponsors for the event. SARW’s goal is to raise $15,000 from the event. 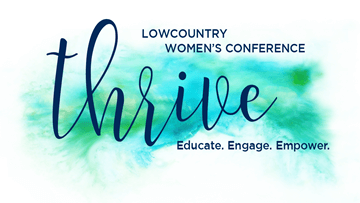 Proceeds will benefit the Savannah Area Republican Women’s efforts to support Constitutional candidates and to offer scholarships to girls who are graduating from high school. 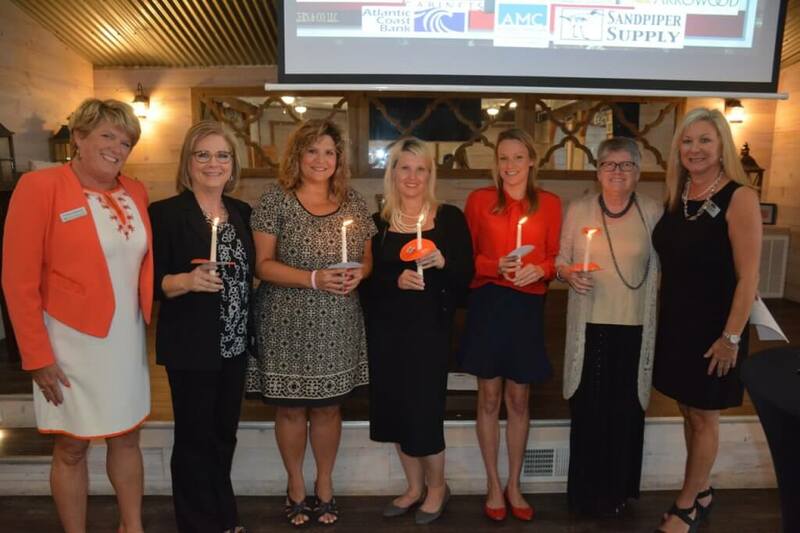 Last year, SARW presented three $1,000 scholarships. (SAVANNAH, GA) ‘Stress and Sleep: The Forgotten Keys to health’ will be the focus of the final presentation of the 2017 Enmarket Encourage Health Education Series on Tuesday, Oct. 24.
will make the presentation at the Savannah Morning News Auditorium, 1375 Chatham Parkway, from 11:30 a.m. to 1 p.m. The event is free and open to the public, but registration is required, as a healthy lunch will be provided. Pilczuk, a former sports psychology and fitness consultant for the British National Swim Team, previously was the manager of the corporate-wide ergonomics and wellness program for Gulfstream. 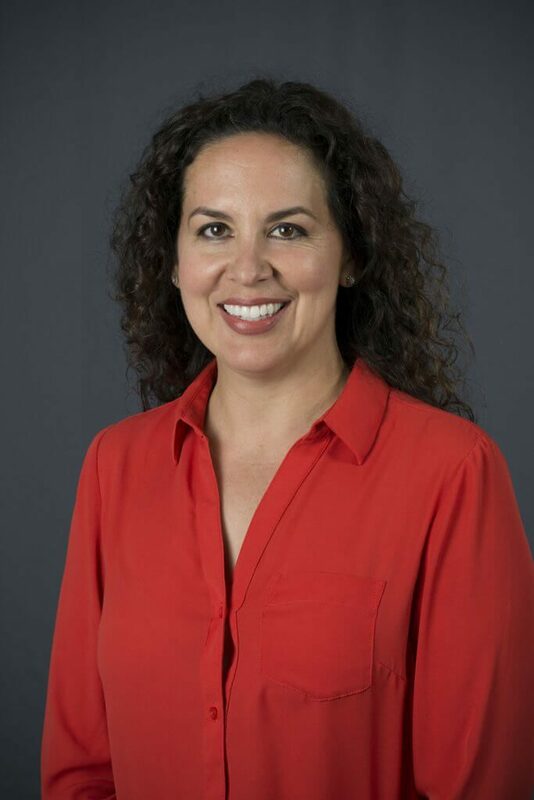 She also taught for seven years at Auburn University in the kinesiology department. During the luncheon, the Girl Scouts of Historic Georgia will receive the $1,000 Encourage Health grant. Their program centers on the Girl Scout Leadership Experience, a collection of activities and experiences to earn badges, explore the outdoors and complete “Take Action” projects. One program at Girl Scouts of Historic Georgia is the Bronze Star, which is given to a scout who plants a community garden at their school and inspires others to eat healthily. This organization is one of four local nonprofits selected to receive donations as part of the 2017 lecture series to recognize their efforts in promoting healthy homegrown food by developing gardens at local schools and educating students on basic gardening skills. 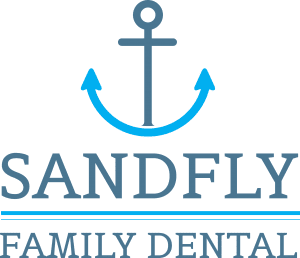 This is the fourth year enmarket has partnered with Healthy Savannah, Sandfly Family Dental, Gulfstream Aerospace Corp., Hoist Water, Savannah Morning News, Savannah Magazine and GPB Savannah – WSVH 91.1/WWIO 89.9 to host the Encourage Health Education Series. The series features four lunchtime presentations from respected experts who share insights on nutrition and fitness plus general tips for healthy living. (SAVANNAH, GA) Horizons Savannah announces the fifth annual ‘Grab a Bag for Kids’ will take place on Friday, Oct. 27, from 11 a.m. to 1 p.m. at the Savannah Golf Club, 1661 E President St. Featured at the charity purse auction, both silent and live, are designer handbags from gently used to new, including premier brands such as Louis Vuitton, Prada, Saint Laurent, Kate Spade and Michael Kors to name a few. For more information, visit http://www.horizonssavannah.org or call 961-8854. (SAVANNAH, GA) Bethesda Academy has announced a new Leadership Development Program to be introduced into the school’s curriculum. The sequenced, age-appropriate program will be integrated into the Bethesda curriculum for all students from grades six through 12 with academic classes. Staying true to the vision of founder the Rev. George Whitefield, the leadership curriculum will have three tiers: Leadership Training, Experiential Learning with opportunities to practice/apply leadership skills, and an Expert Speaker and Conference series where successful leaders from all walks of life share their wisdom with Bethesda students. For more information, visit www.bethesdaacademy.org or call 912.644.4376. (SAVANNAH, GA) The Strong Group, a Savannah-based third generation residential construction firm, has announced a new partnership with Alair Homes, North America’s largest construction management contractor. The partnership will give The Strong Group access to a consolidated back-office management system and a communications platform that will ensure homeowners are updated on key factors such as cost and budget at every step of the process. Please visit www.alairsavannah.comfor more information. DREAMING OF LAUNCHING YOUR OWN BUSINESS? (SAVANNAH, GA) Mark Howard, President and founder of Howard Financial Group, will be the featured speaker at the Savannah Area Chamber’s Power Hour on Tuesday, Oct. 3. Howard will present “3 Retirement Income Strategies to Implement for You and Your Company” during the Chamber’s monthly gathering. Attendees will learn how to implement income planning strategies for their team’s retirement. For more info contact Stephanie Painter, Small Business and Events Manager, Savannah Area Chamber of Commerce, 912-644-6458 or visit www.SavannahChamber.com For more information on Howard Financial Group, visit www.howardfinancialgroup.com or call 912-777-6944. (SAVANNAH, GA) Head-Up Guidance Service (HUGS) announces plans for their Halloween “Spooktackular” on Friday, Oct. 20, from 7 – 11 p.m. at Alee Temple, 100 Eisenberg Drive, 31406. $50 tickets include food & “spirits,” dancing, entertainment and a costume contest. To purchase tickets or for more information, visit http://www.headsupsavannah.org/ or call 912-507-3662. (Savannah, GA) Mark Howard, President and founder of Howard Financial Group, will be the featured speaker at the Savannah Area Chamber’s Power Hour on Tuesday, Oct. 3, in the Savannah Morning News Auditorium, 1375 Chatham Parkway. Networking begins at 11:30 a.m., lunch and program begin at noon. Howard will present “3 Retirement Income Strategies to Implement for You and Your Company” during the Chamber’s monthly gathering. Attendees will learn how to implement income planning strategies for their team’s retirement. Howard has over 25 years experience in the financial services industry. He is recognized as an expert on Retirement Income Planning and has been featured many times on news outlets such as The Wall Street Journal, The Atlanta Journal-Constitution, Atlanta Business Chronicle, Barron’s Magazine, South Magazine, AM 750 WSB, AM 1290 WTKS and Savannah Morning News. “I hope to share some timely information with chamber members who want to help their employees save for the future,” said Howard. “Providing employer-sponsored retirement plans are a great tool for retaining high-quality employees and at the same time providing excellent benefits back to the business. In 2014, Howard founded Howard Financial Group, which is headquartered in Savannah. His firm focuses on strategies to grow their clients’ retirement dollars while taking less risk. “We specialize in protection of principle, providing a reasonable rate of return over time, and keeping things simple for our clients”, said Howard. Howard Financial Group services clients from all over the country, many that are recognizable names from the world of sports, entertainment and politics. Last year, Howard and his firm were chosen to be a part of Advisors Excel, an elite group of financial advisors nationwide that were recently highlighted in the New York Times bestseller Money: Master the Game, written by Tony Robbins. For more information on Howard Financial Group, visit www.howardfinancialgroup.com or call 912-777-6944. In the ‘60s, the group spearheaded efforts to build the Savannah Civic Center and raised funds for the Kicklighter School and Chatham Nursing home among other projects. The group, along with the U.S. Marine Corps and the Savannah Fire Department also launched the local version of the Marines’ Toys for Tots program. In the ’70s, they held the “Jaycees Forum” on local television, as well as a weekly “High School Quiz Bowl” telecast. In the ’80s, the Jaycees raised almost $50,000 for the renovation of the Forsyth Park fountain. (SAVANNAH, GA) A Savannah tradition since 1950, the Annual Greek Festival, will be held Thursday, October 12, Friday, October 13 and Saturday, October 14 from 11 a.m. to 9 p.m. daily at the St. Paul’s Hellenic Center, 14 W. Anderson St. The 67th annual celebration will feature homemade Greek food, desserts, drinks, dancing and music. Guests may also enjoy visiting the outdoor marketplace and taking guided church tours. The event will also be offering pick-up lunches Thursday, October 10, Friday, October 11 and Saturday, October 12 from 11 a.m. to 2 p.m. with online ordering at savannahgreekfest.com. Festival admission is free until 4 p.m. on Thursday and Friday with a requested $2 donation after 4 p.m. A $2 donation also is requested all day Saturday. Tickets may be purchased at the door. Greek music will be provided all day, every day along with Authentic Greek dancing and performances by various dance troupes. In addition, festival attendees can learn about the Eastern Orthodox Christian Church and see the interior of one of Savannah’s unique structures, St. Paul’s Greek Orthodox Church, which has been completely renovated. Guided tours will be held throughout the three days of the festival. For many, the highlight of the festival is the opportunity to sample a variety of homemade Greek dishes. Family favorites include spanakopita, Greek meatballs, gyros and Greek salads. An assortment of Greek pastries will be available, such as kourabiedes (butter cookies topped with powdered sugar) and baklava (the traditional treat of pecans and spices baked in layers of filo). For more information, visit http://savannahgreekfest.com or call 912-236-8256. 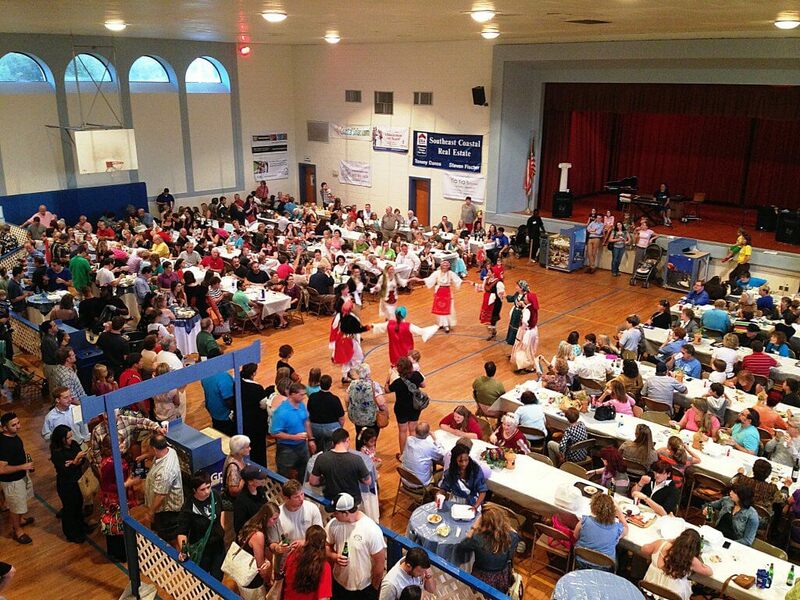 The Greek Festival, a Savannah tradition, is held annually in October at St. Paul’s Hellenic Center, 14 W. Anderson St. The celebration features homemade Greek food, desserts, drinks, dancing and music, along with a marketplace and church tours. For more information, visit https://www.savannahgreekfest. com/ or call 912-236-8256. Follow the Greek Festival on Facebook at https://www.facebook.com/ SavannahGreekFest and Twitter at @SavGreekFest. (SAVANNAH, GA) The Strong Group, a general contracting residential construction firm based in Savannah, has announced a new partnership with Alair Homes, North America’s largest construction management contractor. The partnership will give The Strong Group access to a consolidated back-office management system and a communications platform that gives homeowners access to real-time information on the progress being made on their projects. That allows The Strong Group to ensure homeowners are being updated on key factors such as cost and budget at every step of the process. According to AVID Ratings, the average percentage of customer satisfaction for Alair clients was over 21 points higher than the industry average for residential construction. In 2017, two Alair Homes contractors took home AVID Awards, which are granted to North American home builders whose purchasers rated them the highest for customer experience and dedication. “That’s what I call fixing a broken model,” said Strong. The Strong Group is a third-generation commercial general contracting firm founded in 1952 by Walter Strong, Sr. as the Walter H. Strong Co. Over the generations, the company’s services have expanded to include construction management and award-winning residential construction. The Strong Group’s most notable construction projects include the original eight-building campus at Armstrong State University that was completed in 1962 and the Armstrong Fine Arts building that was finished in 1973. The firm also served as construction managers for the renovation of the former Chatham County Courthouse on Bull Street that was completed in 1991 and as construction administrators for the recently completed $70 million dollar expansion of the Chatham County Detention Center. They have also completed an estimated 70 custom residential construction projects since 2004. Since its founding in 2007, Alair has been helping home builders, renovators and remodelers expand their reach as entrepreneurs. Alair’s system is designed to easily track projects and reports so contractors can be in the field and be interacting with their clients to ensure operations are running smoothly. Through partnering with Alair, The Strong Group is projected to grow significantly. Currently, The Strong Group operates primarily within the greater Savannah, Ga., and Bluffton/Hilton Head Island, S.C., areas with a few projects as far away as Macon, Ga., and Columbia, S.C. 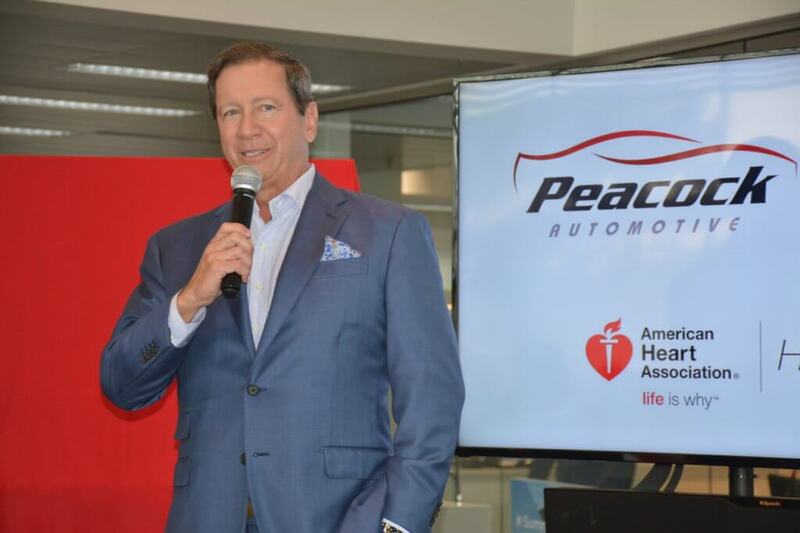 In their new expansion phase, the company will extend its efforts throughout southeast Georgia. By working closely with Alair, Strong said, he expects to add project managers who share his drive to push their limits.